Ever since returning from our October trip to Venice and Slovenia, I’ve been unable to stop baking. In analyzing this compulsion, I’ve drawn several conclusions about why my oven is almost always on, and why, even as I’m sitting here typing this post, I really want to be standing in my kitchen prepping dough and combining wet and dry ingredients. While abroad, especially in our final landing spot of Klavze 28 – a guesthouse tucked into Slovenia’s Soca River Valley in the foothills of the Julian Alps – my husband and I felt enveloped in a sense of warmth and coziness. We experienced crisp days and even chillier nights at the tail end of our trip, and yet this weather didn’t affect our moods or energy levels. At the end of the day, Klavze’s owner Ben would light candles and prepare nurturing dinners and dessert. He’d also share as much wine as we wanted to drink, and the night would progress very pleasingly. The darkness and cold were welcome elements because it meant we could focus on internal comforts. I have no interest in lighting candles, wrapping myself in a blanket, or chomping into a heavy scone in the summer, and yet, in the fall and winter, this is precisely what I crave. When we returned, my husband and I talked about ways to transform our own daily lives, and especially nights, into something cozier and more comforting, a lifestyle that could embrace rainy weather and early darkness. While vacation moods and energy levels aren’t exactly translatable to those at home, since returning, we’ve introduced a few new routines to our evenings: softer light (in the form of flameless candles) scattered around the main living areas, evening walks – no matter the weather – after dinner, and...more baked goods. To clarify, I’ve loved baking for as long as I’ve loved cooking, and over the years, I’ve developed a keen sense of what style of baking I prefer (whole grains, interesting flours, seasonal fruits, nothing that screams “patisserie”). Even before this trip, I was baking once a week, or twice a week, if one counts the bread I bake weekly. 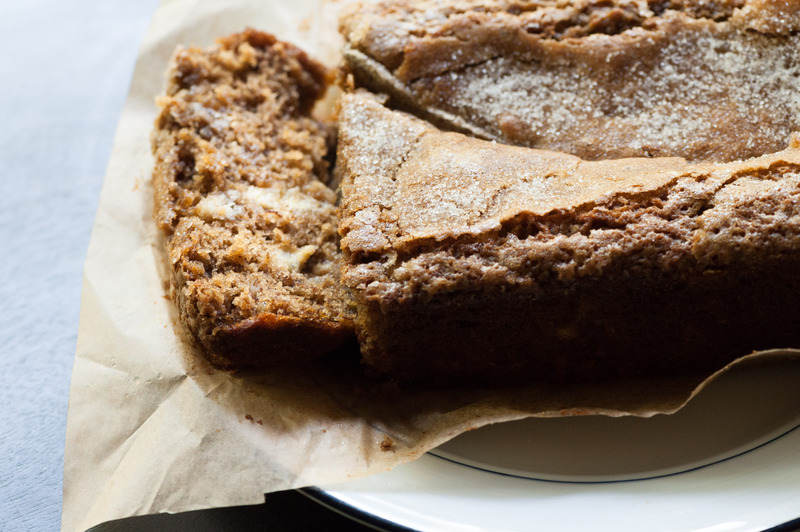 My baked goods are meant to supplement breakfast or to serve as a snack or post-dinner treat. I ask a lot from the things I put onto baking sheets or into pans: I want the flavors to nurture us at home, prevent unfortunate purchases outside of the house, and allow me to further my baking knowledge and skill. Luckily, my increased baking correlates nearly exactly with a new baking cookbook: Claire Ptak’s The Violet Bakery Cookbook. Though I’ve never actually eaten at Violet, I know precisely where Ptak’s bakery is located. On a trip to London a few years back, Justin and I wandered from Hackney City Farm to her bakery, hoping to enjoy a few concoctions that we’d read about. Unfortunately, the shop was closed tight and we had to content ourselves with staring into the windows. I had entirely forgotten about Violet until I saw Ptak’s cookbook, at which point I was flooded with memories of the day we tried to visit, and all my initial reasons for seeking out her bakery. Ptak’s baking background makes for an interesting story: an American who worked at Chez Panisse, she moved to London to live with her then boyfriend, now husband. 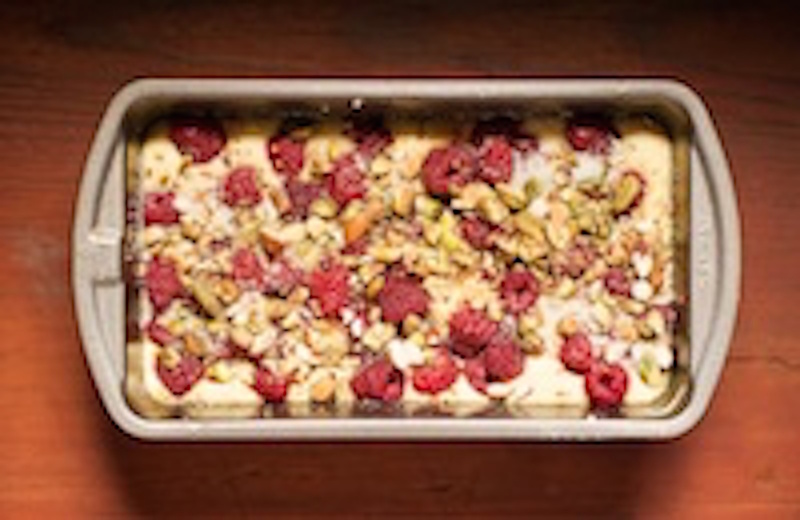 As she navigated London’s restaurant scene, she quickly realized that most British restaurants don’t have a pastry chef role similar to American restaurants; instead, the chefs share dessert duties. Ptak realized that instead of working at a restaurant, she’d have to branch out on her own. After stints as a food stylist, including for Yotam Ottolenghi’s weekly column, she started selling at Broadway Market during the “cupcake era”, selling cakes, tarts, and scones along with the heavily demanded cupcakes. 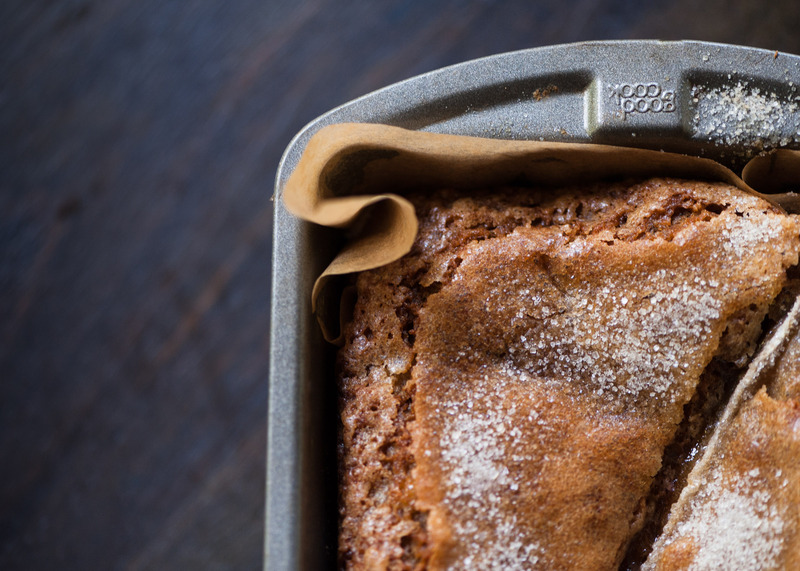 While she’s developed a greater interest in sweetener alternatives and unique kinds of flours, her baked goods remain grounded by her original Chez Panisse education of seasonality, flavor-forward results, and creating food that’s both comforting and surprising. 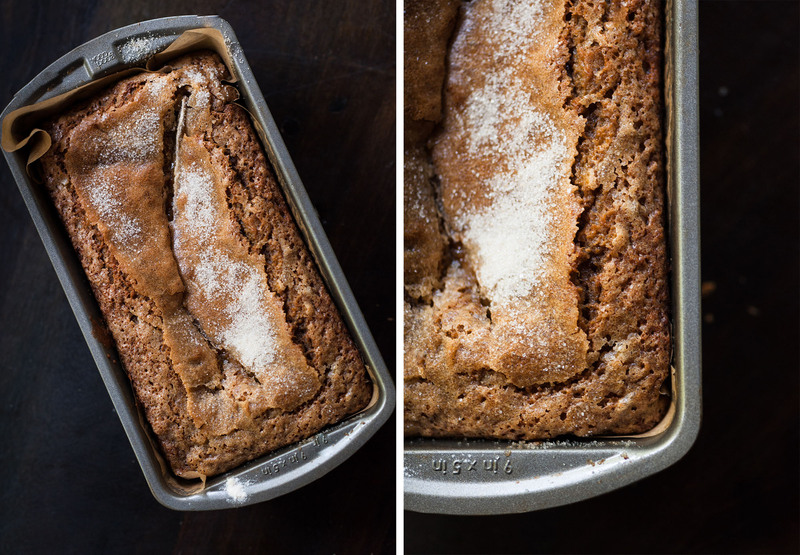 Ptak packs six bananas into one loaf of bread, boosting the loaf’s flavor profile with rum and buttermilk. She then tops the loaf with half a banana and sprinkles the entire thing with sugar. 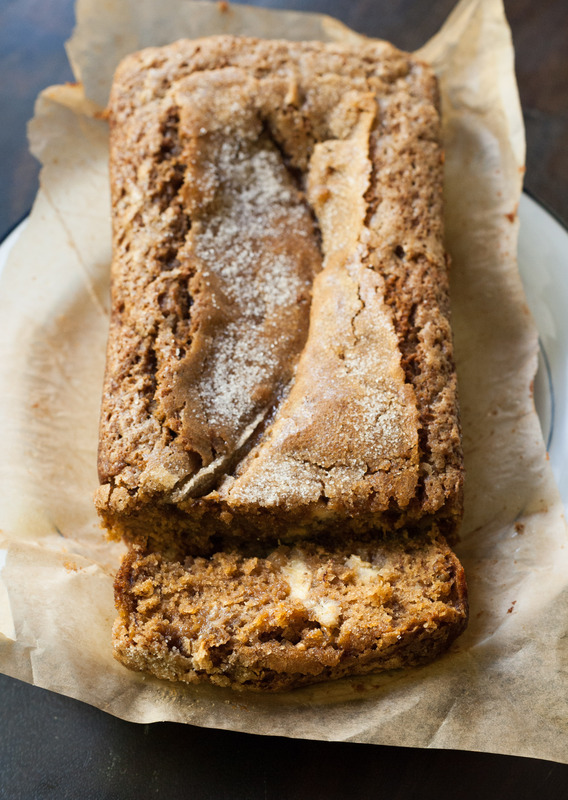 When I pulled the loaf out of the oven, the sugar had caramelized all over the top, the loaf itself had begun to sink under its own weight, and the aroma was intoxicating – so much so that it brought my husband up from the basement, desperate to grab a piece. It’s safe to say that Ptak’s recipes have been instrumental in our efforts to create a cozier, more peaceful, home. Preheat your oven to 355º F. Butter a 10 x 4 inch loaf pan and line it with parchment paper. 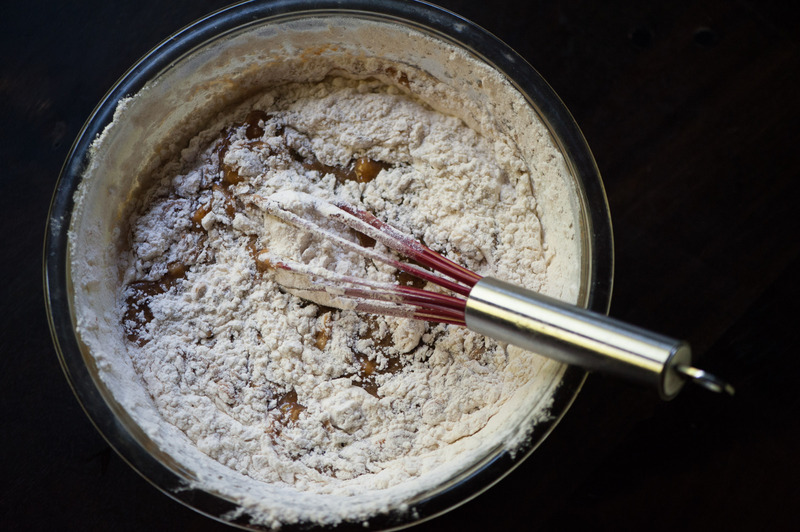 In another bowl, whisk together the flour, baking soda, baking powder, and salt. Fold this into the banana mixture until just combined and pour this into your prepared pan. Smooth the top with an icing spatula or rubber spatula and place the reserved banana half (cut lengthwise) on top. Sprinkle with sugar. Bake for 40-50 minutes until a skewer comes out clean and the top of the cake has set and starts to caramelize. Leave to cool in the pan for 10 minutes, and then transfer to a wire rack to cool completely. Enjoy! The feature article in the Portland Mercury this week implores readers to “Eat Your Vegetables!”.